What exactly is Contact Reflex Analysis? Contact Reflex Analysis (C.R.A.) is a unique, non-invasive means of rapidly analyzing the status and needs of all the body’s organs, glands, and structures by manually testing a selected sequence of reflexes. It is not, however, a method that diagnoses or treats disease. C.R.A. 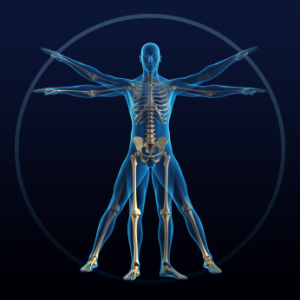 is a simple, safe, effective assessment tool for analyzing the body’s entire biofield, including its energy levels, reflexes, meridians, quadrants, and various detox pathways. It can quickly determine the individual nutrient needs of any organ, gland, or system. In short, it addresses the true root cause of most chronic health concerns. How does the health practitioner make an assessment of a patient using C.R.A? Dr. Cushing will touch a reflex point while conducting a muscle test on the patient. When an energy imbalance in an organ or system is detected, the patient’s resistant arm will drop or release. To evaluate the degree of excess or deficiency (hyper or hypo), the practitioner uses a technique called “pulsing”. Pulsing is a rhythmic pumping of the arm, like playing the keys on a piano, until the resistant arm drops. In this way, we find the score or exact resonance of a particular organ, gland, or tissue. This provides invaluable information as to how to best re-establish a vital flow and balance of energy to the affected areas. How can C.R.A. help eliminate chronic conditions, like allergies? Many allergies and other difficult or disabling syndromes do not resolve with standard treatment because the true root causes are rarely addressed. Over the years, we have found that many so-called allergies are actually symptoms of functional deregulation or hypo-functioning of one or more of the following: organ/gland reflex points; the kidney, adrenal glands, the liver, the large intestine, the gall bladder, and stomach. These reflex points and meridians have gone “off line” and become abnormally segmented, thereby ”locking out” some of the nerve, blood, and lymphatic flow to these vital organs. To permanently eliminate those stubborn allergic conditions , the most important step is to test the organ/gland reflex points and asses their status and needs. Next, the experienced C.R.A. practitioner will search for and identify any hidden interference fields caused by past surgery or trauma. Most often this translates into old scar tissues , injection sites, implants, injured joints and tissues. Usually these “interference fields” can be neutralized using Biokinetics. Finally, the C.R.A. practitioner can determine if an allergy or other physical disorder is due to psychosomatic or emotional reasons. He would then use EFT (emotional freedom technique ) to free the tissues from the emotional stress factors. What about other conditions, including Chronic Fatigue Syndrome, Fibromyalgia , Insomnia, and Alzheimer’s? The basic analytical procedure used by C.R.A. is the same regardless of the named syndrome. We make a rapid and accurate assessment of the body’s main organs/gland control points and interference fields to determine the hierarchy of physical needs (including precise detox procedures and nutritional imbalances) in order to most rapidly restore ideal health for each patient. Today, many scientists believe the secrets of regeneration and healing lie NOT with the use of costly medical drugs or expensive/invasive medical treatments, but in the body’s own Quantum Energy BioField. The new paradigm in quantum bioenergetics has proven that the body’s biofield is preeminent over all the body’s biochemical processes (as shown by decades of German biophotonic research by Dr. Alfred Fritz-Popp, etal.) This explains why even extensive treatment interventions on the gross biochemical level provide only minimal help for chronically ill patients. C.R.A. stands alone in that it provides an accurate analysis of biofield dysfunction, it has a direct influence on the organs and glands of the body, and it possess an ability to permanently clear biofield stagnations and disruptions. Once the biofield has been restored to a fully functional bioenergetics network, a thimble of nutrients can do the work that previously a whole barrel full could not. What kind of nutritional therapies does a C.R.A. practitioner recommend to clients? Understanding how C.R.A. works is critical, but to actual experience the full power of your own healing energies is greatly dependent on your nutrition. Only quantum-quality nutrients contain nature’s most potent phytonutrients and complexes, which can keep the body’s bio-matrices healthy, without risks or side effects. Quantum Quality Nutrients (without any synthetic ingredients or laboratory-created chemical additions) tested and recommended by skilled C.R.A. practitioner offer these far-reaching effects that go far beyond ordinary supplements. They are especially useful to people who want extra insurance against a health problem for which they may have a greater than average risk due to family history, lifestyle choices, and past or current exposure to environmental toxins. When we stimulate our body through chemicalized “dead” supplements, improper foods, and toxic medical drugs, we actually deplete nutrients and electrons needed to protect us from the chaotic and unhealthy conditions of our modern world. These chemicalized supplements (many of them found in health food stores!) stimulate chemical energy in the body, but they deplete quantum energy. Over time, taking chemicalized supplements actually ages the body faster and increases the stress loads on the detox pathways. Can C.R.A. Really Help Me? Modern medical treatments frequently underestimate the body’s magnificent internal intelligence and often end up blocking its capabilities for self healing and repair. However, a growing number of pioneer scientists, some of them Nobel Laureates, have been assiduously mapping out the body’s quantum energy biofield patterns associated with healing and regeneration. In the past decade or so, this work has progressed to a point where very effective solutions are now available. Dr. Cushing has had 35 years of successful clinical experience as a C.R.A. practitioner and nutritional therapist. His method of assessment is reliable, reproducible, clinically effective, and scientifically valid. It is based on the known scientific facts of human physiology, nutrient biochemistry, and quantum cellular resonance. The only way we ever produce health is by matching the frequency of it. Addressing a patient’s presenting symptoms alone is conducting a guesswork practice. What better investment could you make in yourself and for your families and loved ones?